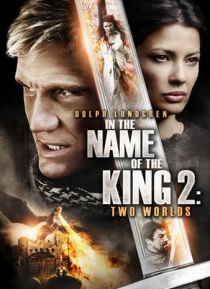 Dolph Lundgren stars as a modern-day warrior who travels back through time in this action-packed follow-up to the original In The Name Of The King. Granger (Lundgren), a lethal, ex-Special Forces soldier, finds himself transported back to a mystical age of sorcery, dragons and savage hand-to-hand combat. He has been summoned to defeat the forces of darkness and fulfill an ancient prophecy.